With the ocean on one side and the bays of Delmarva on the other there is never a time when playing in the water goes out of style. With the bays and various other waterways to the west and the Atlantic Ocean to the east, kayaking has always been a popular activity among locals and visitors alike, whether it is for the exploration aspect, the exercise, or even both. Explore with friends and family or go on guided tours provided by some of the areas kayak experts. Either one you choose is sure to provide an up-close experience with nature and Delmarva's delicate ecosytems. For a list of some places that carry kayak equipment and offer rentals, click here. It's no surprise fishing is a popular activity amongst almost everyone who lives along the shore, and with so many types of waterways and locations along Delmarva, finding a place to relax and cast out a line is never a predicament. From fishing for crabs on a pier to taking on the seas in search of a prized tuna, there is sure to be some type of fishing for everyone in the family to get hooked on. To get started, it always helps to make sure one knows the rules and regulations before setting out. These can vary between states so familiarizing oneself with an area's local regulations is always a good start. Delaware's information can be found here. Information on Maryland regulations are located here. Fish don't bite empty hooks and can be picky eaters at times so make sure to visit one of the area's bait & tackle shops to stock up on everything you will need. While there, don't forget to ask for advice on locations to fish, the best times of day to do so, and what some of the more popular bait is for the fish you are after. For a list of Bait & Tackle shops in the area, click here. Not familiar with the area or got an itch to test out those sea legs? Why not let a local captain show you the hotspots on a charter boat. For a list of local charters, click here. Tides play a vital part in Delmarva's diverse watersheds and can be all the difference when it comes to landing that big catch. Click here to view local tide charts. For a quick look at the conditions or to see how many other fellow fisherman have taken to the water, the Indian River Inlet Cam offers a nice view of the inlet. The beaches of Delaware and Maryland both offer some of the greatest surf on the East Coast. With miles of beach along the shore it's easy for anyone to stake out their own piece of surfing paradise. During the off-season, no beach is off-limits to wave warriors. However, during the summer months rules change in order accomodate the large influx of people and to maintain a safe environment for everyone. Be sure to check the beach rules for the beach you plan on surfing at or asking a lifeguard to verify approval. For some equipment or a little advice, be sure to check out some of the surf shops found in the area, click here. Lastly, don't forget to scan the cams to see what location looks best. It's always good to have an idea where the swell is breaking best before heading out. A list of some of the local cams can be found here. Sailing is one of the oldest means of travel civilizations have mastered and still draws the interest of millions worldwide to this day. Although technological advances have changed the way we travel over water in recent centuries, sailing the tried and true way still remains a favorite for many. Whether its the challenge of raising a sail and conquering the winds or just enjoying a ride using a technique that has been refined over hundreds of years, sailing is one of the most inspiring and rewarding activities one can take part in. Even if you have never stepped foot on a boat before there are locations here on Delmarva that will be happy to offer lessons and classes, as well as boat rentals for that first excursion. For a list of some of those places, click here. Windsurfing, a common sight along the bays of Delaware and Maryland, combines the aspects of both sailing and surfing, along with certain athletic aspects shared with other board sports such as skateboarding, snowboarding, and wakeboarding. Even though windsurfing obviously relies on the wind, keeping oneself upright and on the move can prove to be a workout in itself, but the rewards are worth it. The feeling of skipping across the waves of the Atlantic or coasting over Rehoboth Bay with nothing but the wind to your back is quite an experience. Lessons and equipment rentals for beginners are offered at many places on Delmarva while the places to practice this engaging sport are limitless. Click here to find a few locations that will be glad to get you started. For a breathtaking and safe way to soar high above the waves for a bird's eye view of the coastline or bays, parasailing is the perfect idea. Helicopter and plane rides offer the same advantages but not like this. Only parasailing can offer the feeling of floating above paradise without being contrained in a cockpit or cabin. And don't fret if going alone scares you, parasailing can accommodate up to three people at one time. 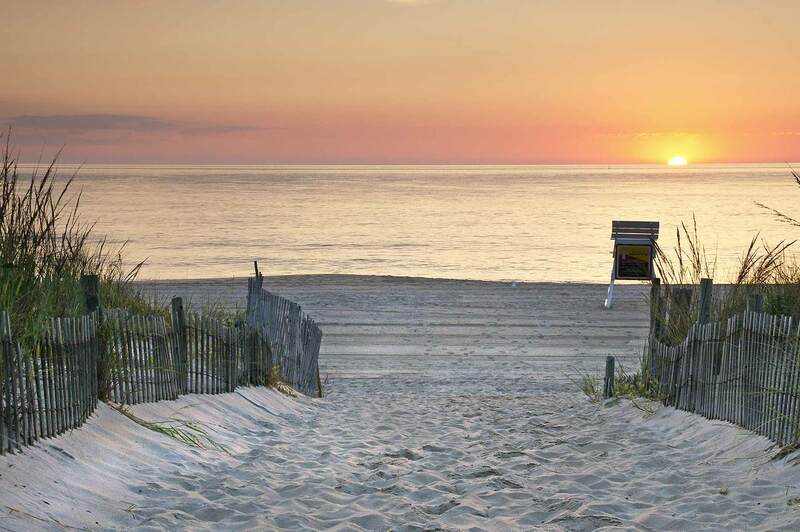 The beaches and bays of both Delaware and Maryland play the perfect host to this scenic ride. Click here for a nearby location and take to the sky. Extreme sports only continue to take it to the next level and kiteboarding is no exception. Where wind surfing takes advantage of the ocean breezes on the surface of the water, kiteboarding employs the power of the winds high above. By using a modified wakeboard or kiteboard and attaching oneself to a kite, the rider obtains more speed and power, a good thing to have for when it comes time to launch skyward, reaching heights of 20 feet or more. Although the sport is still relatively new and in its infant stages, it's catching on fast, especially on Delmarva where conditions and locations are optimal. A few places which offer lessons and equipment rentals and sales for those looking to push their limits can be found by clicking here. The roads along the shore can get a little congested at times during the summer months and those who have the need for speed can sometimes have trouble finding a cure. However, with wide open bays and the vastness of the Atlantic, help is only a wave runner away. The beach towns of both Delaware and Maryland offer a plethora of locations where folks can take to the water, skimming across the waves at speeds up to 50 miles per hour. And don't fret if you have never ridden before, most locations offer safety and operation lessons right on the spot. To feel the salt spray on your face, get started by visiting one of these locations.